Pushing the bounds of American Communion further, we conducted our first film shoot with active soldiers and veterans of the wars in Iraq and Afghanistan. 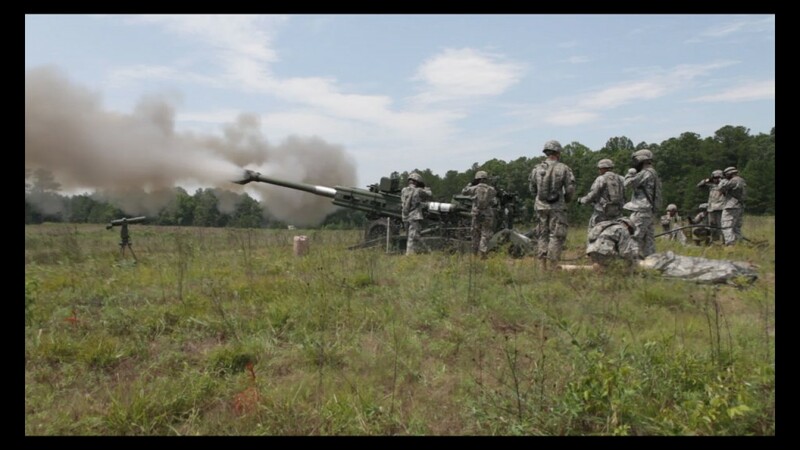 The 1st Battalion, 108th Field Artillery (1-108 FA) of the 56th Stryker Brigade, Pennsylvania Army Reserve National Guard, allowed us to film during training exercises at Fort Pickett, VA, and get a sense of how their experiences with the conflicts in Iraq (where they deployed in 2009) and Afghanistan (where they will redeploy in 2014) compare and contrast with those of the Vietnam war veterans with whom we have been working. 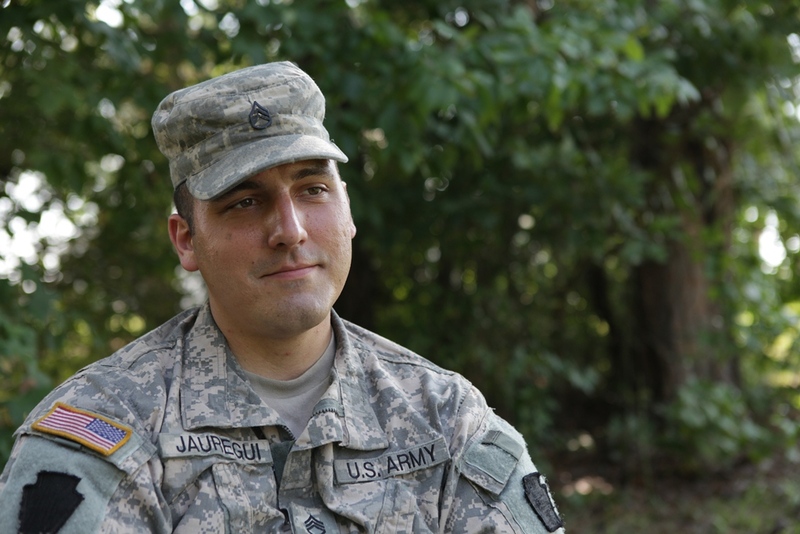 Stephen Edward Jauregui has served with Charlie Battery of the 1-108 FA for 11 years, and in addition to interviewing and following him through training, we also interviewed other members of the battalion, and filmed their first ever “Artillery Raid” exercise air-lifting and firing M777A2 howitzer cannons. We hope to continue to follow this unit as they prepare to go to Afghanistan in just over one year’s time.